Brandon has displayed a passion for highway safety dating back to his high school days in Minnesota. As a junior in high school Brandon developed a peer-to-peer interactive school program that toured the state visiting 30+ school per year. The program included Brandon addressing the congregated student body about the dangers of drinking and driving, a video presentation, and featured guest who was a young inmate from an area prison serving a prison term for killing a young couple when he was driving drunk. The program was an incredible success and received recognition from the Governor of Minnesota. Brandon began his career in professional sports as an intern with the Nashville Sounds Minor League Baseball team during the summer of 1999. Upon completion of his Bachelor of Arts degree in Psychology from St. John’s University in Collegeville, MN, where he played football for the Johnnies and the legendary coach John Gagliardi, he was hired by the Nashville Kats of the Arena Football League as a sales executive and communications assistant. In August of 2000 he rejoined the Sounds as a public relations manager where he oversaw the team’s community affairs. During his time with the Sounds he also serves as the Director of Marketing and Promotions, Director of Sales, and Executive Director of Business Operations overseeing all aspects of the business. He currently serves as the Director of Marketing and Business Development for Alliance Sport Marketing specializing in developing relationships and programs that meet the needs of our clients. 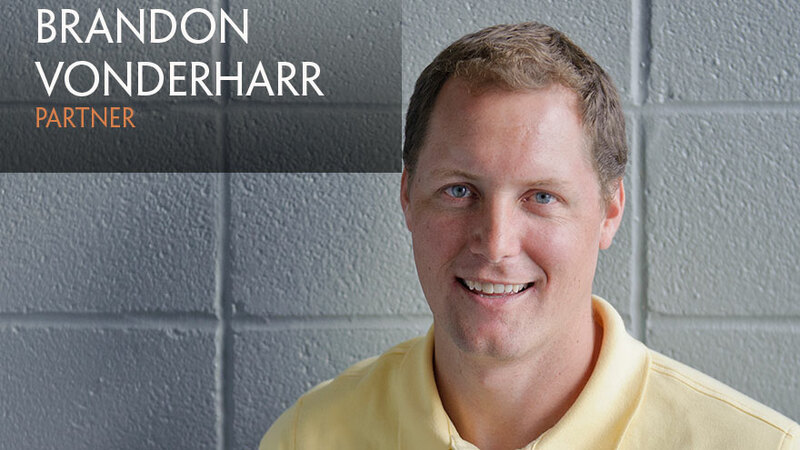 An "out of the box" thinker, Vonderharr represents the creative side of the staff.